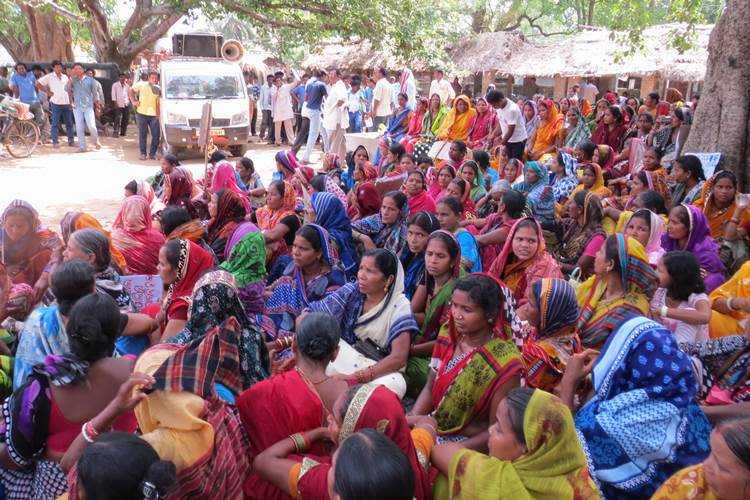 Thousands of peace loving people of Narasinghpur, the Constituency of Minister Debi Prasad Mishra, have notified BJD Chief Minister Naveen Patnaik on BJD hooliganism perpetrated through the Police as per the ruling party scheme to keep the public terrorized so that nobody would dare to raise any more voice against ongoing oppressions. They have alleged, entirely innocent persons are entangled by the Police in a murder case, simply because, their principled campaigns against liquor mafia was irritating the local BJD leadership. True, a known face of BJD, Sushant Bhol by name, was shut down to death for yet not known reason by yet undetermined gun person on May 10. He was allegedly involved in many criminal cases, and quite controversial in the locality. The local inhabitants suspect that internecine rivalry in the BJD for ruling the roost is responsible for his death. But, the wife of the deceased, instigated by BJD local leadership, has raised allegations against two such persons who were disadvantageous to Minister Mishra whose close supporters were being affected by their social activism. The two social activists are Jnanaranjan Nayak and Sushant Kumar Mohanty. Sri. Nayak, a lawyer by profession, is the Secretary of Gandhi Smaraka Nidhi, Narasinghpur; and Sri Mohanty is the President of Mukti, a local organization social activists. Both of them have been leading the marginal farmers and agricultural labors against exploitation by big land owners. But, their leadership in Nishamukti Andolan (people’s movement for freeing Narasinghpur from intoxicants) is spectacular. The government liqueur shops established at Jilinda were working as masks of hooch trade. The duo has forced their closure by mass movement. 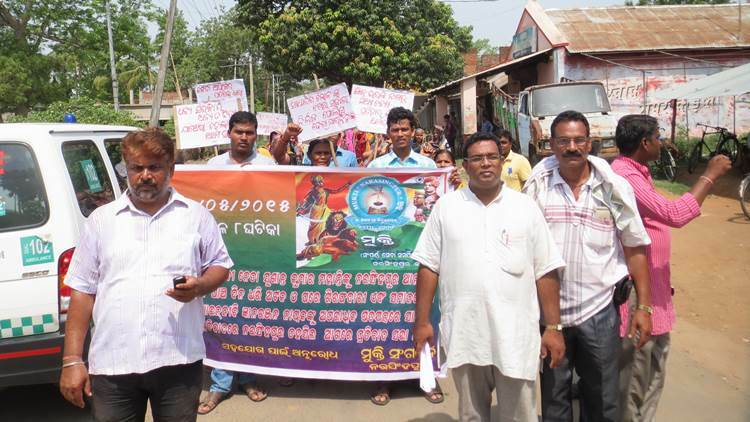 This and much other mass action they were leading had been irritating the BJD in Narasinghpur. So, people say, the BJD leadership was in search of opportunity to teach them a lesion. And now, death of Bhol has given them that opportunity. Condemning the false implication of Nayak and Mohanty, under whose selfless leadership they were able to enforce closure of the liqueur hub at Jilinda, the women demonstrated before the Tahsil office in large numbers, demanding withdrawal of prosecution against the two and institution of prosecution against the police officer who has falsely implicated them. When people of Narasinghpur have demonstrated against this ruling party mischief, leadership of Orissa Lawyers Association have condemned the wrongful conduct of the Police and demanded for action against the officer in charge of Narasinghpur P.S. in a press conference held at Bhubaneswar, on May 25.